Whether you’re a first time borrower or a pro, getting an auto loan can be complicated. Learn how to prepare so you can save money, reduce stress, and get the auto loan that’s right for you. Our resources will help you avoid common pitfalls and understand the total cost of an auto loan. Experts know to focus on total cost, not just the monthly payment. Our shopping sheet helps you compare offers, see the total cost, and negotiate the best deal. Before you head out shopping, you may want to make a budget, gather the information you'll need, and get pre-approved for a loan. Preparing ahead of time will get you ready to negotiate and make the process less stressful. Banks, credit unions, dealerships, and other lenders are all common places to finance an auto loan. Finding and comparing loan choices will help you get a better deal, potentially saving you hundreds or thousands of dollars. While you may know that you can negotiate over the price of the vehicle and the interest rate, it’s also important to know everything else you can negotiate that may impact the amount you borrow and the cost of your auto loan. Small differences in the choices you make can add up to a significant portion of your loan’s total cost. Understanding what you can negotiate will help you save money when getting an auto loan. By now you've negotiated and chosen a loan and lender. But the process isn't over yet. You need to make sure the paperwork matches the deal you think you are getting and that everyone has signed all the documents before you drive away. We're here to help it all make sense. Have a question about auto loans? Get answers from Ask CFPB. Read more about auto lending issues for consumers in our auto loan blog posts. Want help calculating auto loan costs? 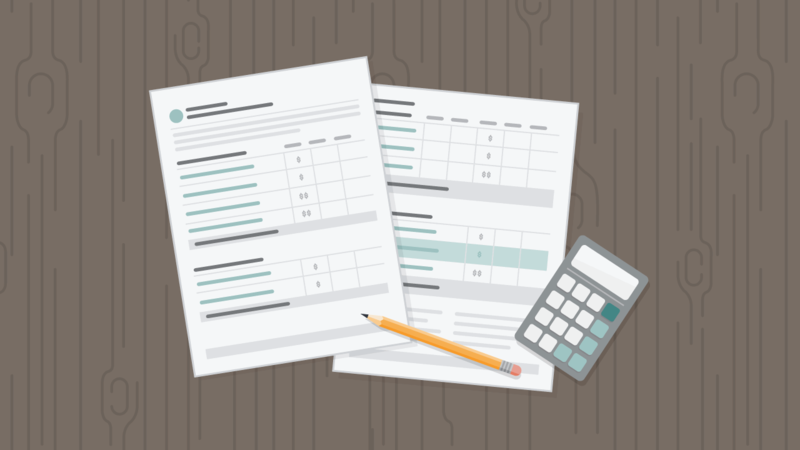 Try loan calculators from NADA Guides or Consumer Reports .